The general idea often expressed in France about German farmers is that they benefit from better conditions (regulation, prices, public support, labour costs). 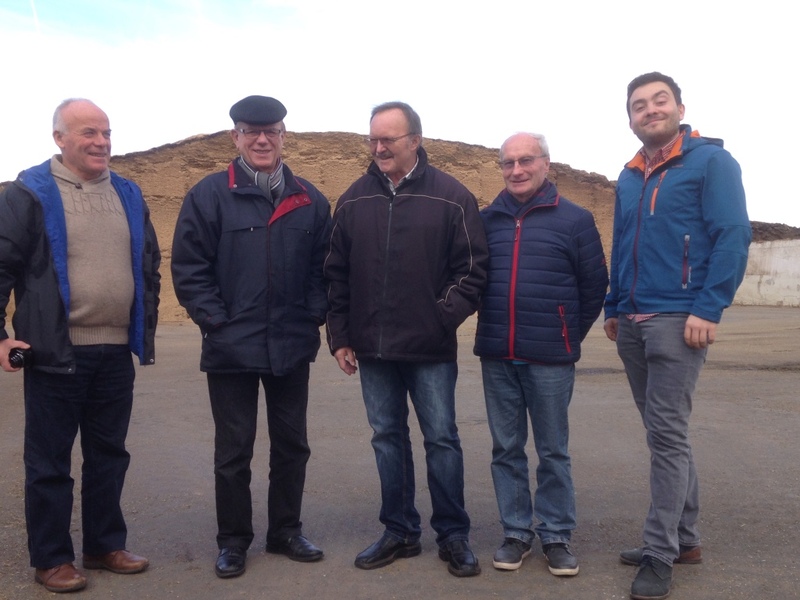 The purpose of the trip was to discover the reality of German farmers on all these issues and for us to get to know each other. Those whom we met (see list at the end of the document) are mostly happy, they work hard, they are worried about the future, they cope with difficulties in a realistic and individual way, without resorting to negative criticism and frustration, but also they are well aware of the economic challenges they face. 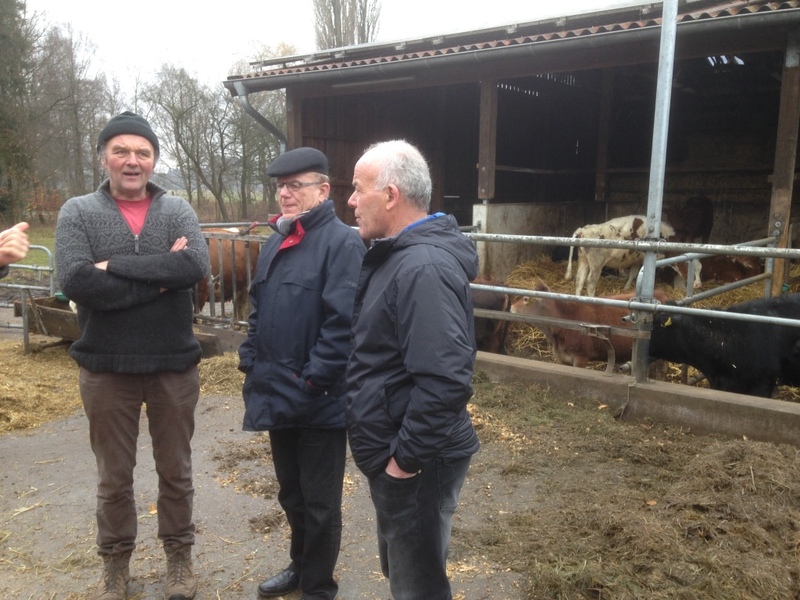 We visited medium-sized family farms - we have not seen large farms such as in eastern Germany with thousands of cattle. Two of the farms visited were organic. - They work hard with little or no holiday – sometimes constructing their houses and buildings. - We have taken note of the on-going harmonization of the level of remuneration for labour (introduction of a minimum wage: € 8.50 per hour plus € 2.50 of employers' expenses). But the farms visited did not use many salaried labourers. Very high price of the land: between € 50,000 and € 100,000 per hectare to buy or from € 700 to € 1000 / ha to rent. A farmer (in general the eldest) inherits the parents' farm, (the compensation for the siblings is subject of a family agreement) and he is responsible for caring for his own including the parents (housing and costs). Agricultural pensions are relatively modest (between 400 and 600 € per month). Factors that increase land prices come from growing urban expansion, increased marketing costs of specific crops (asparagus, crop-fed biogas, the need of acreage to spread manure, etc.) and competition between farmers. All recognize that a young person not coming from an agricultural family has very little chance to embark on agriculture for a career. Self-help or teamwork (Cooperative model) is often regarded as unrealistic, although some cases of mutual assistance still exist (silage harvest in one case, equipment to spread slurry in a group of 40 Farmers). Consequently, the level of equipment is quite high and modern on the farms: it sometimes seemed to us over capitalised! It is true that, in one case, this reality went hand in hand with buildings that were very old and inefficient (no milking parlour, for example, with a herd of 54 cows). Many of the farmers visited made it clear that they were "happy" and added that it would be better if the incomes were higher. The two organic farmers seemed to have an income less affected by economic problems. One farmer, however, said forcefully that it was better 10 years ago and is already preparing to stop his agricultural activity (end of milk production last year, end of the suckler cows to follow and development of a parallel activity away from the farm). He does not want to encourage his children to continue farming! For him, only large farms or "well-organized" small farms could develop. He is looking outside agriculture so as not to fall into a despairing situation. It seems that, as in France, processors and distributors are mastering the economic game and impose conditions always downwards. Farmers’ Union activities and demonstrations do not fit into their way of working, even if this sometimes happens. This does not mean that they consider it unnecessary and inappropriate, but lack of time and fear of consequences limit mobilization. One farmer believes that the French government supports farmers better than in Germany. Subsidies for this type of energy production allow a higher income per hectare. But this means that the land is no longer intended for food production. This project also created an increased land pressure for the surrounding farmers (both for price and availability). In conclusion, it seems to us that there is an insufficient level of contacts and mutual knowledge between farmers in different countries, despite professional organizations (COPA, CEJA, etc.). The perception of the way agricultural is moving in a country is often different from what farmers themselves experience and live on a daily basis. It is sad that the application of European policies is depending on specific national implementation, creating distortions (for example, the reduction of quotas a few years ago that has not been uniformly implemented across countries, with differences in production volume afterwards). The abolition of quotas has exacerbated the risks of overproduction and differences for farmers. to enable them to provide quality food to humankind, especially in poor countries? This organization should grow mainly out of exchanges between farmers! It could make proposals to put to the authorities, rather than just remaining in a mood of protest and criticism, whether inside one’s country or between countries. Farmers’ Union activities may lead too often to look at what is going wrong rather than to be a creative source of solutions! 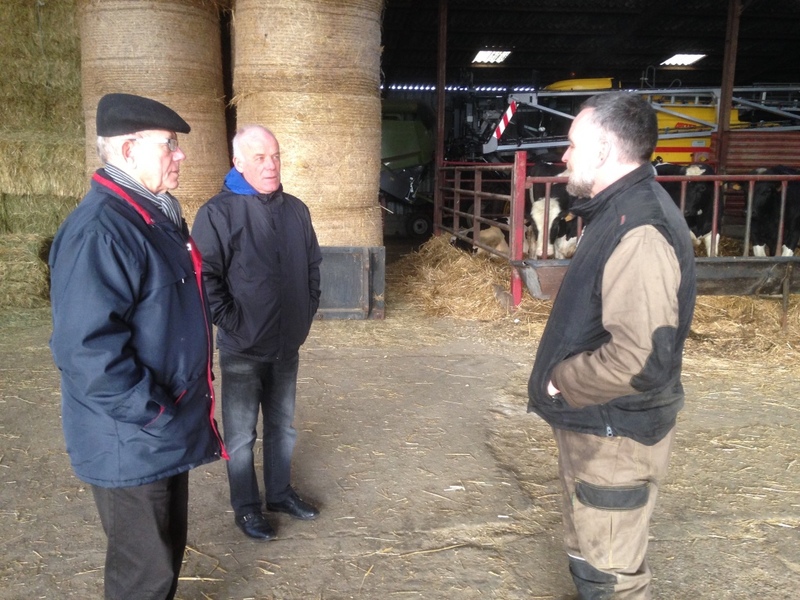 Several farmers mentioned their strong attachment to the European process and were very happy to welcome French farmers on their farms as a sign of an important relationship for peace. 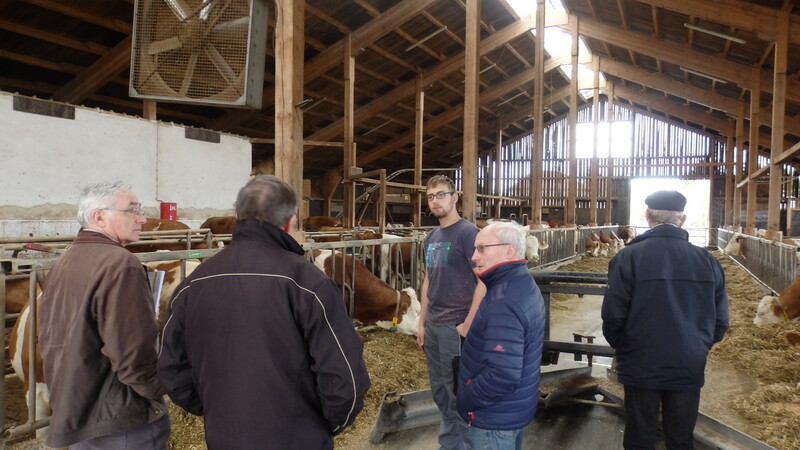 We were impressed by the young farmer on the dairy farm: an international experience gained during his agricultural internships abroad, a lot of realism and wisdom, for example in the face of the question: what if prices continue to fall? His reflection was first of all to find the technical and practical solutions to face the challenge, and then to wait for an improvement. "Better to care for 100 cows properly rather than do a bad job with 1 000". But this did not prevent him from having an awareness of the reality of European and global economic challenges. Our impressions after this trip are surely partial: your reactions and comments are welcome! 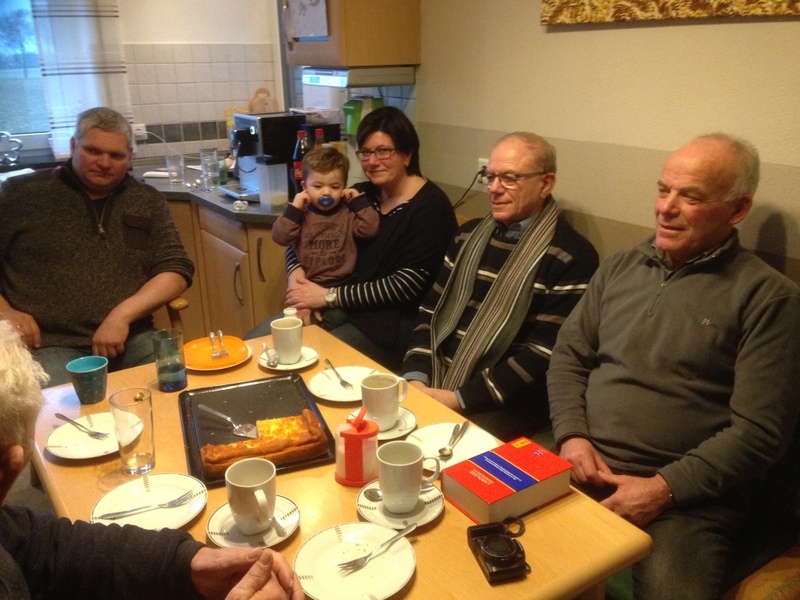 Hermann and Beate Wittkamp: 64 ha (including 50 rented) – Milk production with 54 cows (milking in the shed with 12 places) – Possible succession with the son, when the parents get retired. Biogas unit based on 900 ha of crops (corn, cereals and grass), including 400 ha owned by the 5 farmers partners and owners of the project. Alfons Diethei: 41 ha (including 22 rented) – Organic Production – beef and development of specialised crops (soya, red beets, lupine.